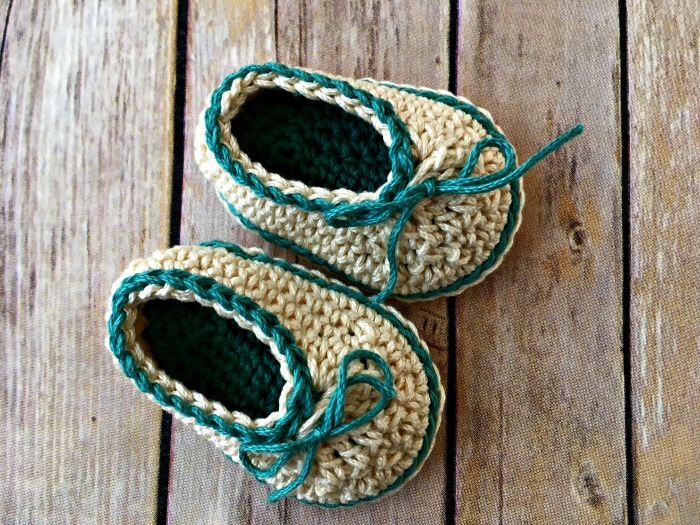 When we see these adorable baby booties, we couldn’t help but share it. 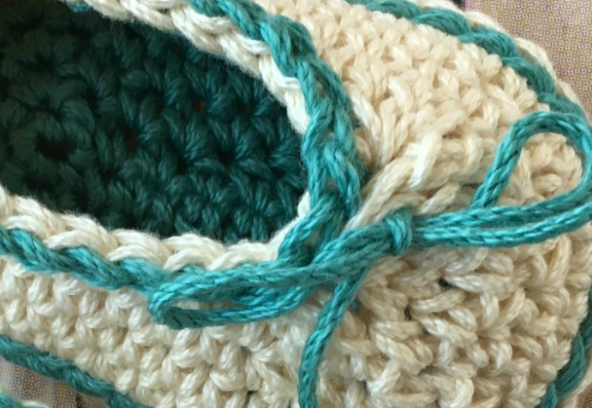 But first, let us say that you need to follow Amanda Saladin’s lovely blog to see more and more crochet beauties. You can find lots of patterns and pretty designs at Amanda’s blog. 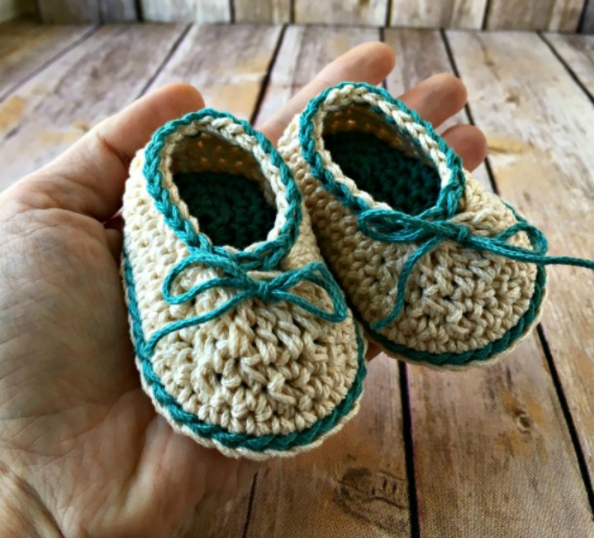 Amanda used cotton yarn for these booties. Also you need 4.0mm hook, yarn needle and stitch markers. Holding 2 soles together (one of each color) with RS facing out and CC on top, join MC in any stitch, going through both soles. Sl st around edge to join soles. Make an invisible join. Weave in ends. Leaving a long tail, join CC at center front. Sl st evenly around top of shoe, then use hook to draw tails through in the stitches below as seen in photo above. Tie in a bow and there are no CC ends to hide. 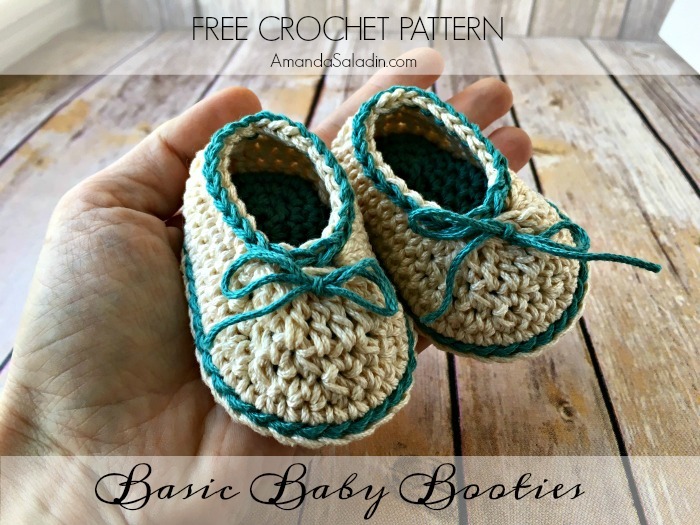 Be sure to check out Amanda’s other free patterns! They’re all great.